Thank you for expressing your interest in our website. Protecting your privacy is very important to us. Below you will find detailed information about how your data is handled. You can visit our websites without providing any personal data. We only record data in so-called server logfiles, such as the name of the file accessed, the date and time of access, the data volume transferred and the requesting provider. This data will only be used to ensure the proper functioning of the page and to improve our service, but cannot be traced back to you. We collect personal data when it is freely provided by you within the context of placing an order, making contact with us (e.g. via the contact form or by e-mail) or when opening a customer account. The specific data gathered is that provided on the various information forms. We use the data provided by you for contract administration purposes and to process your queries. Once the contract has been processed in full or your customer account has been deleted, your data is blocked to prevent any further utilisation and will be deleted on expiry of the mandatory retention periods set out in fiscal and commercial regulations, provided you have not expressly agreed to the further use of your data or we retain the right to further exploit your data in accordance with the law, of which we are obliged to inform you. You may cancel your customer account at any time via the contact facility set out below or via the function provided for this purpose within your customer account. 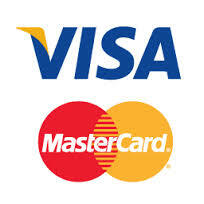 to register with your login data of the payment service provider during the order process. The data protection declaration of each respective payment service provider shall apply in such cases. they are registered in a Robinson list or a similar register like the UK Mailing Preference Service or the Dutch Postfilter. You may at any time refuse such storage and exploitation of your data for purposes via the contact facility set out below. You may configure your browser such that you are informed when any cookies are placed and decide in individual cases whether or not you wish to accept them, or you may reject cookies for specific cases or in general (detailed instructions regarding the setting options of your browser are given below) Should you reject any cookies the functionality of our website may be compromised. These cookies are necessary to enable you to use our website. This includes e.g. cookies that enable you to log into the customer area or add items to your shopping cart. These cookies enable collecting anonymised data about user behaviour on our website. We analyse them e.g. to improve the functionality of our website and recommend you products that will be interesting to you. These cookies are used for certain features of our website, e.g. to improve the website’s navigation, or deliver to you customised and relevant information (e.g. ads that match your interests). These cookies record information about your visit to the website, previously viewed pages and links you clicked. We use this information to tailor our website and displayed ads to your interests. The cookies of some of our advertising providers help make the on-line offering and our website more attractive to you. Therefore, cookies of our partner providers are also saved to your hard disk when you are visiting our website. These are temporary cookies and are automatically deleted after a specific timeframe. As a rule, cookies of our partner providers are deleted a few days or up to 24 months later, or in some cases after several years. Cookies of our partner providers do not collect personal data, either. They will collect exclusively pseudonymised data under a user ID. These pseudonymised data will not be associated with your personal data at any time. As an alternative to the browser plugin, you can click this link in order to prevent the use of Google Analytics for this website in the future. An optout cookie will then be stored in your device. Once you delete your cookies, you will have to click the link again. If you have expressly given your consent during or after placing the order, by ticking the appropriate checkbox or clicking the appropriate button, we will use your email address to send reminders to rate your order to Trusted Shops GmbH, Subbelrather Str. 15c, 50823 Cologne (www.trustedshops.com), which can then send you email reminders to rate your purchase. This consent can be withdrawn at any time by sending a message to the contact below, or directly to Trusted Shops. You are entitled to access your personal information stored by us at no charge, including the right to correct, block or delete such data. Please use the contact details provided in our legal notice should you have any queries concerning the collection, processing or exploitation of your personal data, or should you wish to access, correct, block or delete any data, or should you wish to withdraw any approval provided for or object any use of such data.